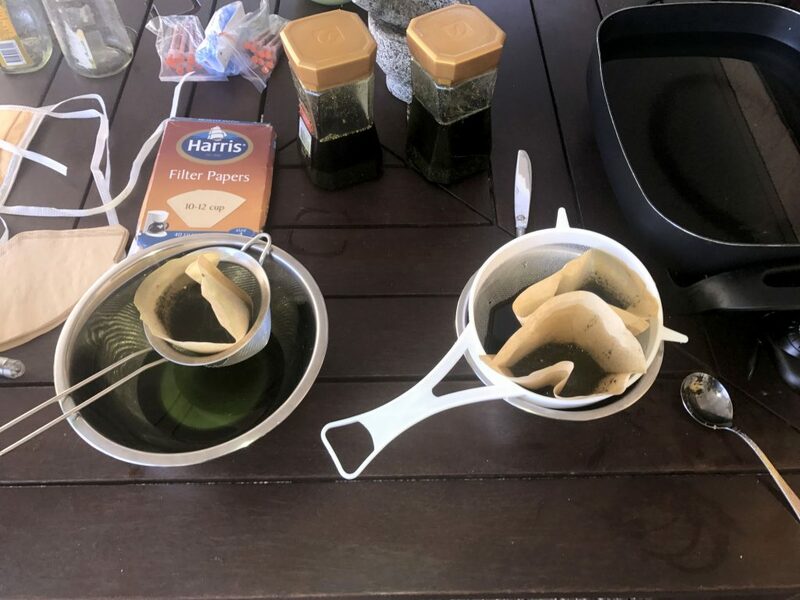 An Aussie mum-of-four has replaced all of her brain-damaged nine-year-old daughter’s medication with illegal marijuana she grows and cooks at home. 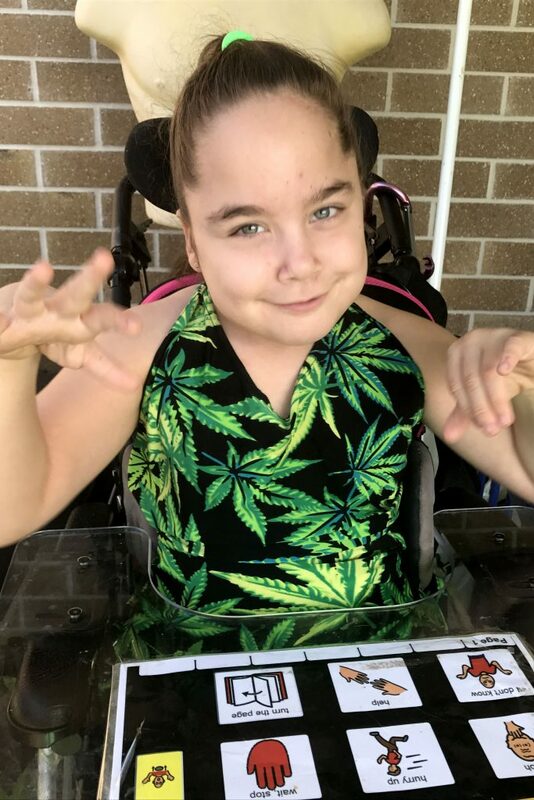 Katrina Spraggon cooks up cannabis oil in her kitchen to treat daughter Kaitlyn’s nineteen chronic illnesses, which include cerebral palsy, refractory epilepsy and severe scoliosis. The 35-year-old claims since replacing all Kaitlyn’s pain and seizure medication – a “heavy cocktail” of different opiates – with the illegal drug, her daughter is a “whole different person”. Former childcare worker Katrina said feeding her girl cannabis has transformed her from being bed-ridden and unresponsive and even helped her to LAUGH for the first time ever. 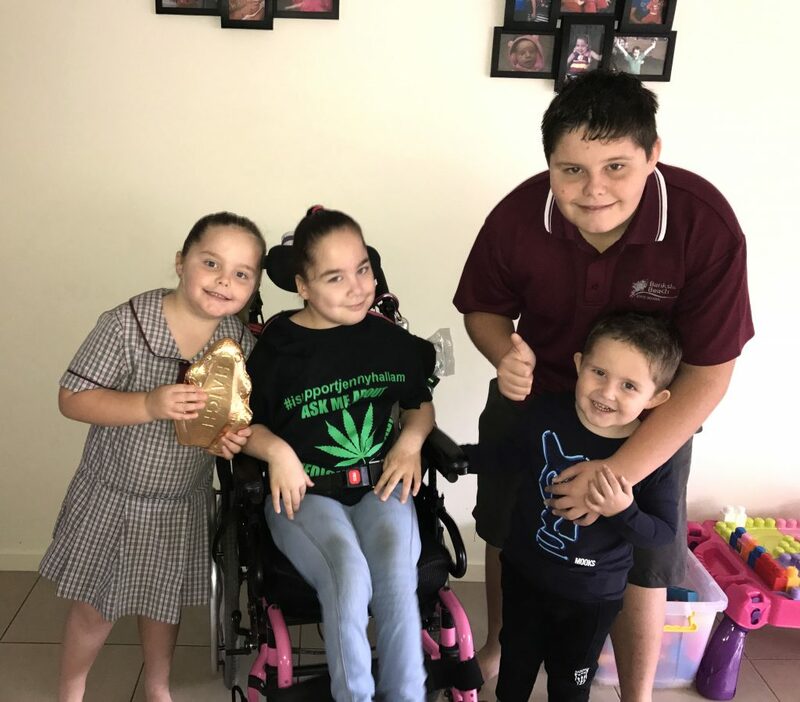 Katrina, from Ningi, Queensland, said: “The first time I tried cannabis oil on my daughter, I witnessed a remarkable difference in just two days. “Kaitlyn just became alive. It was absolutely incredible. She was responding and alert. Her seizures reduced dramatically. “Over time she kept progressing more and more, and was no longer just a vegetable stuck in a wheelchair all the time. “She began interacting with me in ways she never did before and she was able to play with her brothers and sister. “Before cannabis oil, Kaitlyn would stare blankly into space and wouldn’t respond to anyone. “I’d never even heard her laugh before and hearing it was the most beautiful sound in the world – she had only ever given me a little smile. “It has changed her life dramatically and my only regret is not starting it sooner. “There are virtually no side effects – she will just be a little hungrier than usual, have an increase in thirst and might crack up laughing. It’s amazing. “I am not worried about the legal consequences. I would prefer to break the law and my daughter have a quality of life than obey the law and bury my daughter. Katrina uses three different types of cannabis oil products to treat her daughter – two which she is sent illegally by friends living in other states. 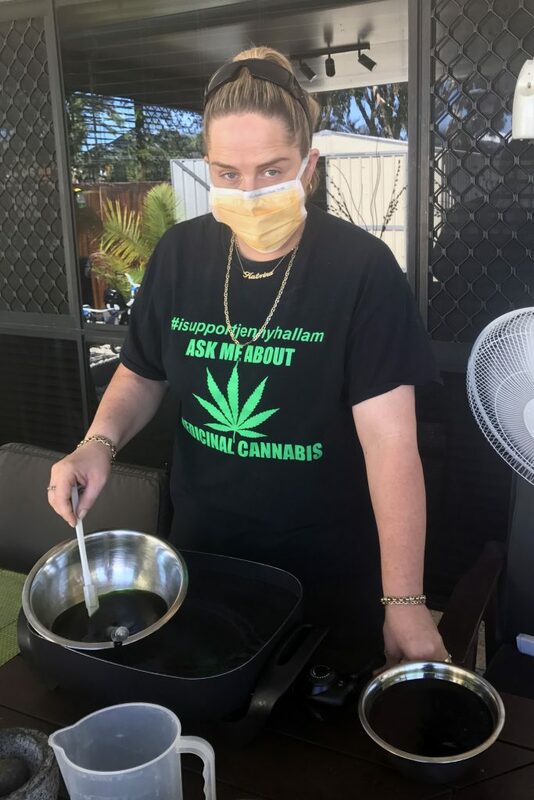 The third is full extract cannabis oil which she cooks up in her home from marijuana she obtains from black market drug dealers – paying $230 AUD (£134) for an ounce which lasts two to three months. The mum has also begun growing her own marijuana plants at home so that she has an unlimited supply for producing her daughter’s medicinal cannabis oil. Katrina claims just one drop of her homemade oil rubbed onto Kaitlyn’s gums at the onset of a seizure revives her quickly from her fits and shortens their recovery period. In Australia, medicinal cannabis oil can be prescribed on a case-by-case basis in every state except the Northern Territory for patients suffering from chronic illnesses. However, it must be imported from outside the country and it is not legal for individuals to cultivate their own marijuana for medicinal purposes. So while medical cannabis is technically legal in Queensland, Katrina said importing it from Canada or Denmark would cost her up to $5,000 AUD (£2,900). And the mum claims she has legal written statements from eight different doctors encouraging her to continue using marijuana oil to treat her daughter. She has even met with prominent Australian politicians including Prime Minister Malcolm Turnbull to plead her case. Katrina said: “Before we started the cannabis oil, when Kaitlyn would have a seizure she would go into cardiac and respiratory distress. “This required me to give her CPR and drug her on so many different opiates. She would be like a zombie and completely zonked out for up to five days. 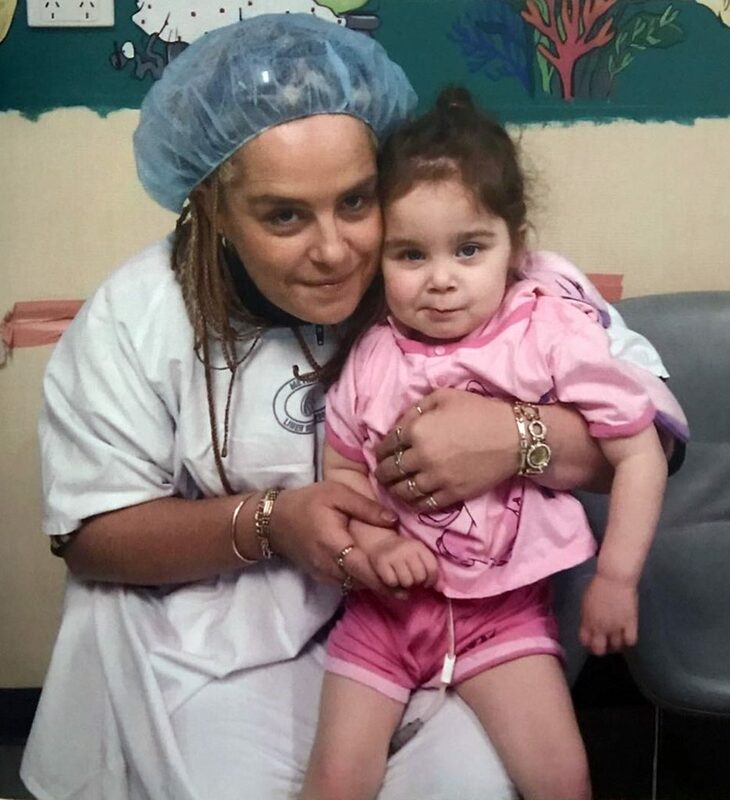 “Now after giving her cannabis oil for her seizures, she will be back up in 20 minutes playing, dancing and wanting food. “Before I was sick of constantly giving my daughter CPR and seeing her on the brink of death. “I didn’t want my other kids to be traumatized and exposed to that kind of horror. “Nothing was working and Kaitlyn was getting sicker and sicker. I thought she was going to die. “Now Kaitlyn is able to interact with her siblings and they all play together. “I can go for a shower or take the bins out and not have to worry that she’s going to die while I’m gone. “It is a matter of life and death and I will never stop giving my child her medicine. Minnie said: “When Katrina first put Kaitlyn on cannabis I was dead against it and I didn’t talk to her for nearly a month. “But after a few weeks, I started to see a huge difference in my great-granddaughter. “The cannabis oil works wonders for Kaitlyn’s epilepsy. I’ve administered it before and it stopped her seizure within five minutes. She has a quality of life now and is mixing with her brothers and sister. 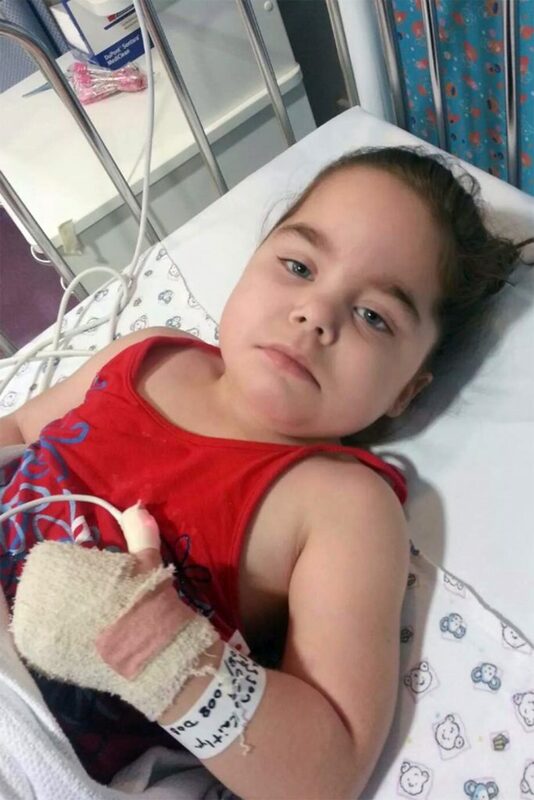 – Medicinal cannabis may be approved if patients have already tried conventional treatments available for a reasonable period of time and these have failed, or if the effects of conventional treatments prove intolerable. – As there are currently no businesses licensed to manufacture medicinal cannabis in Australia, these products need to be imported. – People cannot legally produce their own cannabis for medicinal use. – Some families in Queensland give their children medicinal cannabis from the illicit market because there is no legal source. – Many of these parents are in a situation where standard treatment for their child’s condition has not been successful or may cause significant side effects. – Health bosses say while families access information on the internet suggesting the use of medicinal cannabis may be helpful for their child’s condition, much of this information is ‘anecdotal and not scientifically verified’. “I’m a real life hunch back” – Mum of three plagued by 100 tumours that has caused a twisted hump spine!